Well my first dedicated eging reel was a Daiwa Egee 2506 that i received as a birthday present. what can i say the reel is awesome for the money. This reel would be considered as a entry level "dedicated eging" reel. 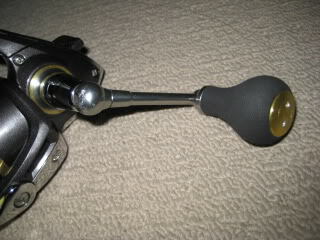 It features finesse drag, shallow spool, 55mm machined handle and large eva "eging" knob. 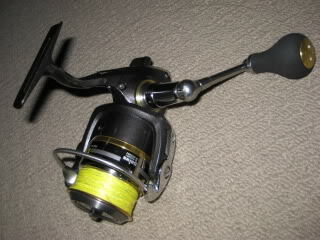 the reel i have has been spooled with daiwa saltiga surf 15lb. this is a great thin 8 strand braid which allows for long casts. The features of this reel include 5+1 bearings, 4.7 ratio, 3kg max drag and weighing 255grms (pls note the double handle is heavier at 275grms). There are parts of this reel that can be improved upon and that is with the addition of a spool support bearing and a handle knob bearing. Both these mods greatly improve on the overall performance of the reel and I highly reccomend doing it. originally i had this reel matched to a 7'9el majorcraft raycal, and this setup was near on perfect. the weight of the reel was balanced out very well with the length of the rod. Since owning this reel, maintenance wise i just followed a strict routine of tightening the drag rinsing under fresh water after every use. Then allowing it to dry throughly and then a few drops of daiwa oil onto the bearings. 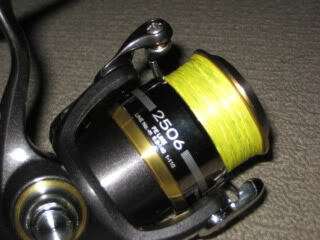 in conclusion, i highly reccomend this reel to anyone after a "dedicated" eging reel but is not after spending too much. even with a shorter rod (normal bream stick) the reel is very nicely balanced, bang for buck. IMO one of the better bang for your buck reels on the market. I might pic one up for travelling as it would hurt a lot less than losing a certate. I could run a couple of spare spools to cover all options and be set. The finesse spool and eging knob are a really nice touch and not seen on ADM reels in that price bracket. 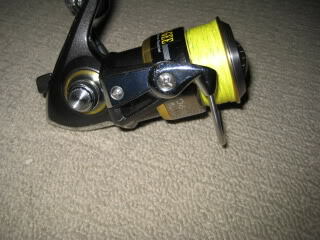 Dan wrote: IMO one of the better bang for your buck reels on the market. I might pic one up for travelling as it would hurt a lot less than losing a certate. I could run a couple of spare spools to cover all options and be set. 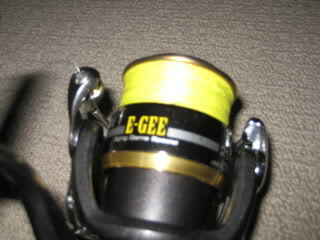 The finesse spool and eging knob are a really nice touch and not seen on ADM reels in that price bracket. Is the handle one piece like on custom certates or is it hinged? Dan wrote: Is the handle one piece like on custom certates or is it hinged? its hinged and has the shalft that goes through the main gear. doesnt make much if any difference to performance at all. and i deff reccomend getting a bearing for the spool and also one for the knob. makes a world of difference. Haha, if it had one piece handle you wouldn't say that there's just a solid tight feel with them you can't get with a standard handle. I know that Fishhead was stocking them a few months back. I'm pretty sure they would still have it in stock. Just make sure you have a look at some online shops as prices can be very competitive. should i pick up the spool and handle bearing while there or online? beau wrote: should i pick up the spool and handle bearing while there or online?